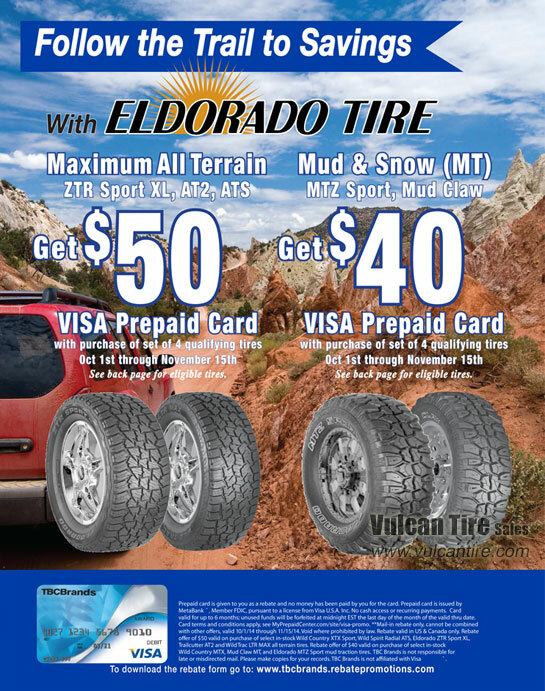 Receive up to $50 by mail when you purchase a new set of four (4) Eldorado ZTR Sport XL, Mud Claw MT or Eldorado MTZ Sport tires October 1, 2014 through November 15, 2014. Find great deals on Eldorado Tires here. 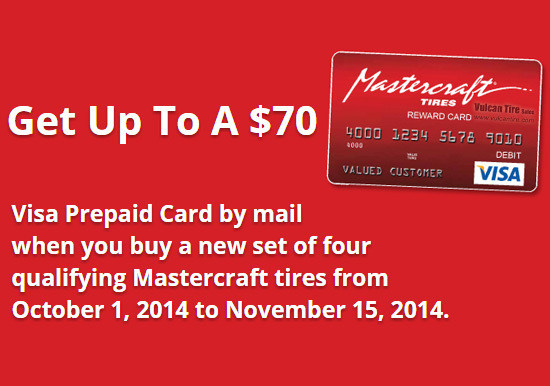 Receive up to $70 by mail when you purchase a new set of four (4) Mastercraft HSX Tour, Mastercraft Avenger Touring LSR, Mastercraft Courser AXT or Mastercraft Courser HXT tires October 1, 2014 through November 15, 2014.